A native of Arizona, Nicks interests in health + performance stem from his own experiences, while playing sports and rehabilitating a back injury. Nick attended Arizona State University, receiving a B.S. in Kinesiology (Exercise Science) and a B.S. in Biology with an emphasis in history and neuroscience. While in school, Nick completed internships at Fischer Sports Physical Therapy & Conditioning as well as The Neuro Institute, where he worked with a broad range of clientele from Sports Performance to rehabilitation programs for TBI's and Spinal Cord injuries. This not only have gave him a lot of respect for the human body, but also gave him insight into the potential that each human has to come back and perform. Upon graduating in 2013, he opened up After it Training, a training facility that advocates for community, efficiency based training and everyday human performance. Nick aims to tackle the goals of every client unique to them, striving for top performance of both mind + body. He emphasizes the power that the RIGHT HABITS can have in your health and everyday performance such as Nutrition, Sleep and Unique Recovery methods. Every human being should be take care of their own Human Machine because it hinges on the VALUE & SUCCESS of their overall life. In his time outside of training, he likes to travel, read, hang out with friends & family. 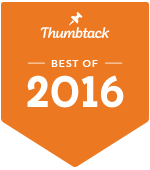 Rated and quoted by Thumbtack as one of the top fitness professionals to hire in 2015, 2016 & 2018. Aaron Schultz - Owner, Personal Trainer, TribeFit Instructor. Arizona native, Aaron Schultz, has been in the health and wellness industry since 2003. He first began as massage therapist. After noticing a need for more qualified caring trainers he then found his passion again for helping people transform their bodies, build confidence, and regain their athleticism through fun Intense training. In 2016 Aaron partnered with long time friend Nick Murrieta at After It Training after realizing they have the same dream. With a strong sense of community and real passion to motivate people, Aaron brings a breath of fresh air to the fitness industry. Always learning more, Aaron incorporates 15 years of experience working with the human body. 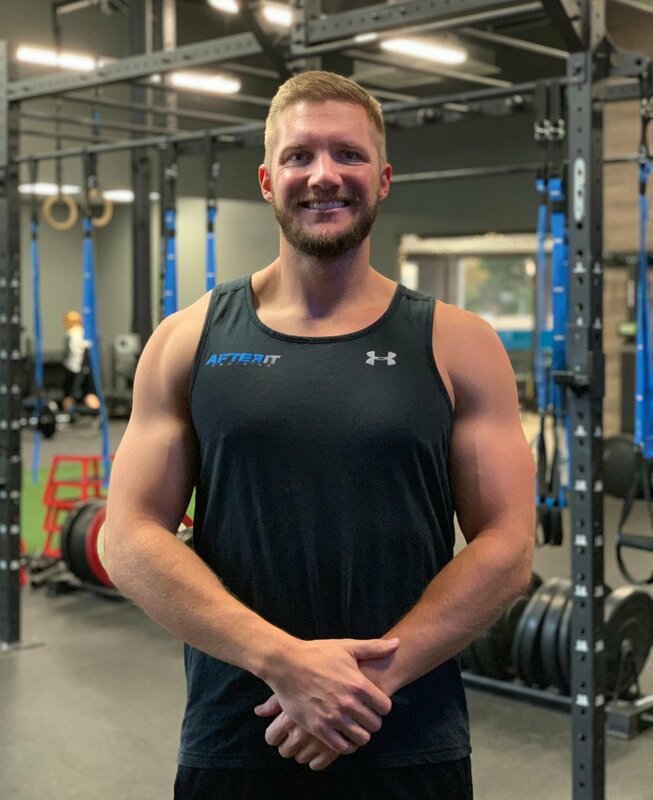 When not personal Training, running group classes, or running a business Aaron enjoys spending time with his girlfriend and her two sons as well as enjoying delicious food and traveling the world. Carrie Markham is a 5th generation Phoenician who decided upon high school graduation to accept a two sport collegiate athletics scholarship in Charlotte, NC. Upon graduation from Belmont Abbey College in 2009 with a BS in Sports Management, she continued her education at Pfeiffer University receiving a Masters in Leadership and Organizational Change. After receiving her Masters, she stayed in the south another few years working an internship in the NBA and began her softball coaching career. In 2012, Carrie decided to make her trek back across the country to her hometown of Phoenix where her love for softball led her to start her own softball pitching coach career which transformed to personal training. After spending countless hours with female athletes who struggled to perform specific motions with their pitching form, Carrie became more interested in biomechanics and focusing on the differences in the male vs female bodies. Her experience in working with softball pitchers has not only tested her patience but grown her knowledge in the way the body moves naturally and efficiently. Increasing body strength and flexibility is the key to softball pitchers success, and I believe it is just as pertinent to the aver women’s body. Efficiently structured workouts by Carrie will not only help you reach your fitness goals, but will help you manage your personal obligations while taking care of your own health needs. Scott started in the fitness industry in 2010, where he worked as personal trainer and fitness director in Tempe, AZ. Scott has since decided to evolve his training methods by becoming a Certified Onnit Academy Trainer. In addition to common training tools such as the barbell and kettlebells, Scott is able to add more Unconventional Training Methods to his clients' workouts such as the Steel Mace and Steel Clubs, which demand total body control and total body strength. Sarah is an ambitious wellness advocate from Chicago. Her love for fitness started back in high school when she played volleyball, basketball, and softball. She knew she wanted a career in the field and attended Northern Illinois University studying Exercise Science and Nutrition. Her Senior year, she was diagnosed with Type 1 diabetes. Struggling to control her diabetes as well as weight was challenging. After moving to Arizona she decided to make a whole lifestyle change which included changing her diet completely and discovering HIIT training. She transformed herself and finally got her diabetes under control. Her goals are to share her story to inspire and help people. She has training experience when she volunteered at a retirement home working with the residents making fitness programs to help them reach their goals. She also interned at wellness center working with a dietitian. She currently is also a Chiropractic Assistant helping with therapies and educating patients on wellness. Sarah loves to come up with creative workouts that are both fun and challenging. She loves helping people reach their goals and wants to educate more people about fitness and wellness to live a healthy happy lifestyle. Kelsey's passion for fitness started at an early age participating in various athletics. Not only does she enjoy being in the gym herself, she has grown a desire for helping others with their pwn fitness. It started as helping friends plan workouts to meet their goals and she has enjoyed seeing the progress that they've made that she decided to put some actual work in field, get certified and start building programs to help as many people as she can. Kelsey understands that people all want to feel confident and look their best. She spent years working as a hairstylist, so she gets the service mentality and what matters most to her now is getting that confidence from a different route. She is very passionate about helping people and wants to build a more holistic approach to fitness for her clients that revolves around good mental, spiritual and physical health. 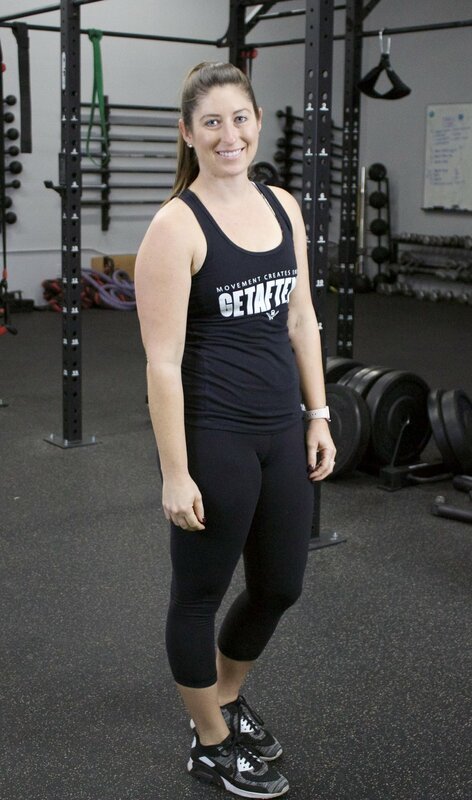 Kelsey continues to grow as a trainer and educate herself as much as she can to get a grasp of the entire field of fitness and what is possible for her clients. As a practicing Physical Therapist Assistant for over seven years, Katie decided to branch out into the fitness world in order to address some of the issues that she feels are all too common in the general population. In the past, many of Katie’s clients have demonstrated limited insight into the importance of health and wellness, both physically and emotionally. Katie hopes to bring awareness to the benefits of physical fitness on one’s emotional well-being. Katie’s fitness journey began six years ago when she began training for a half marathon. While Katie reached her goal, and has since finished many road races, the repetition of distance running took a toll on her body. Katie has since found that a combination of weightlifting, yoga, and hiking are much more beneficial for her body. Katie believes that balance is the key to all things, and she strives to bring balance into her clients’ lives with a combination of functional movement training and yoga. As a Certified Personal Trainer, Register Yoga Teacher, and with her background in Physical Therapy, Katie is driven to educate and motivate her clients to see the power of mindfulness in movement.